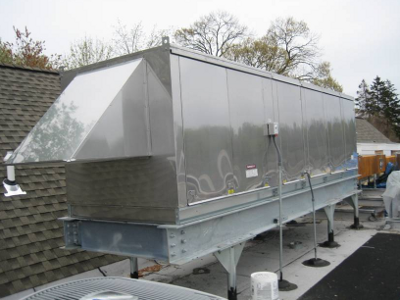 The typical PCU includes a washable steel pre-filter and disposable, high efficiency (MERV 15) media filter. 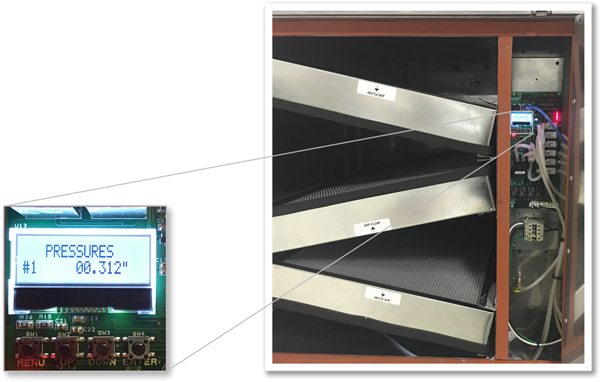 An additional high efficiency (MERV 15) / HEPA module is available for smoke control. 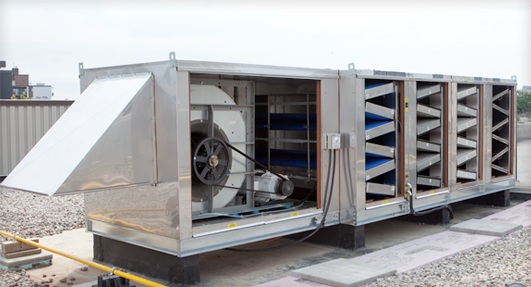 Odor control is handled via an optional module ( typically 50/50 blend carbon/permanganate OR 100% carbon blend) Sizes range in capacity up to 20,000 CFM. 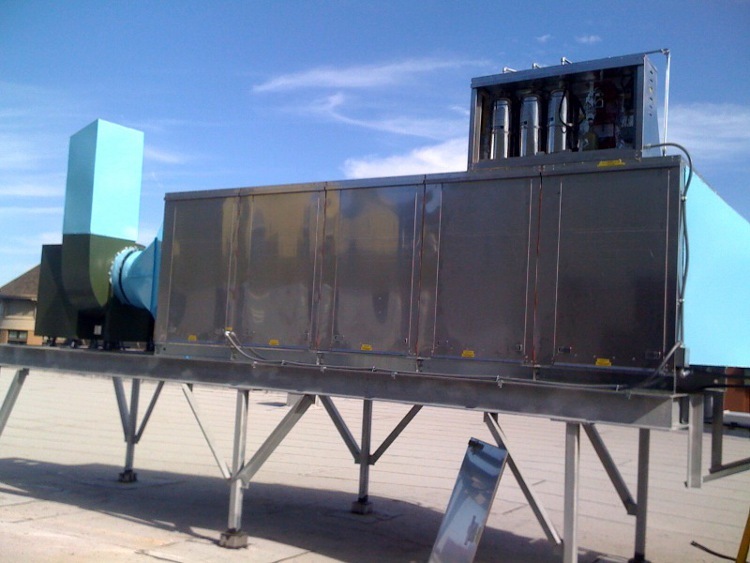 The PCU is ETL listed and is suitable for indoor or outdoor installations. Applicable Standards: The PCU Series has been certified by ITS. This certification mark indicates that the product has been tested to and has met the minimum requirements of a widely recognized (consensus) U.S. and Canadian products safety standard, that the manufacturing site has been audited, and that the applicant has agreed to a program of periodic factory follow-up inspections to verify continued performance. Models PCU are ETL listed under file number 103624182COL-001 and complies with UL710, ULC-S646 and ULC-S647 Standards. Models KB10-INLINE through KB25-INLINE are ETL Listed under file numbers 103336443COL-001 and 102628244PRT-001 and comply with UL705 (electrical), UL762, and ULC-S645 Standards and CSA Std C22.2, No 113. Models PCU are UL listed under project number 4787163176 and complies with UL1978, ULCS662 Standards. 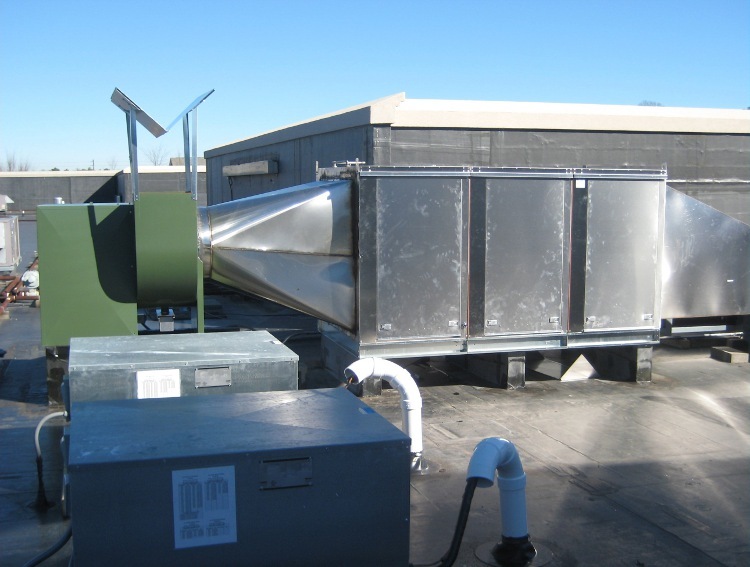 The CaptiveAire Pollution Control Unit, PCU Series, is designed specifically for the removal of grease particles and abatement of smoke from the air stream of commercial kitchen exhaust systems. 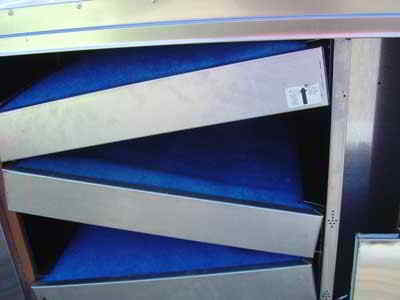 The unit, if ordered with the optional odor control section, will reduce odors from the air stream. 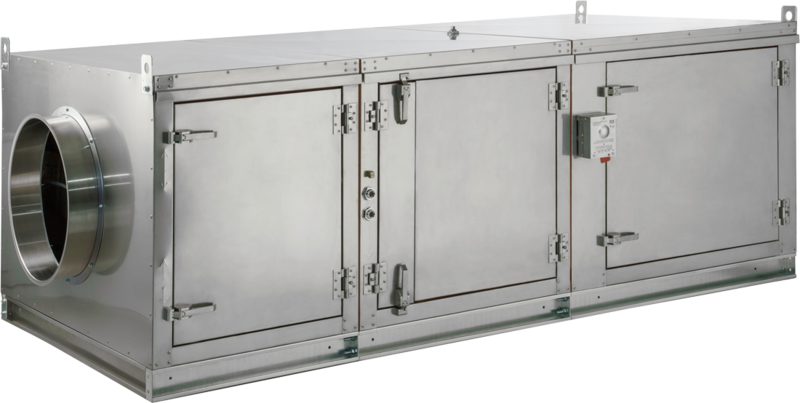 The PCU is designed for use with a CaptiveAire high efficiency self-cleaning or baffle ventilator but may be used with other high efficiency exhaust hoods. The Advanced Filter Monitoring includes a module that provides the necessary precision pressure measurements for accurate monitoring of the complete system. 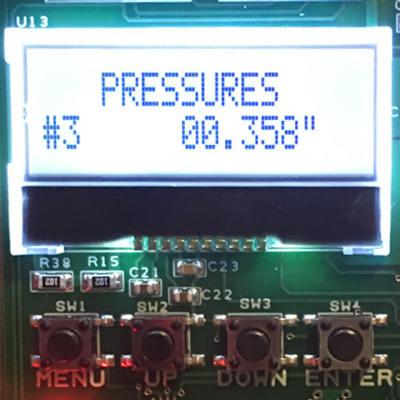 Based on the measurements, the module will then initiate actions via the electric control package and give readings to the user. 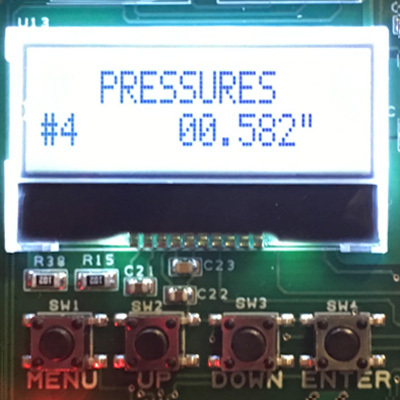 Direct access to the operating conditions are provided through the use of an HMI (human machine interface), which is conveniently located on the PCU. Missing Door or Missing Filter Indication - fans and cooking equipment will shut off if faults indicated. 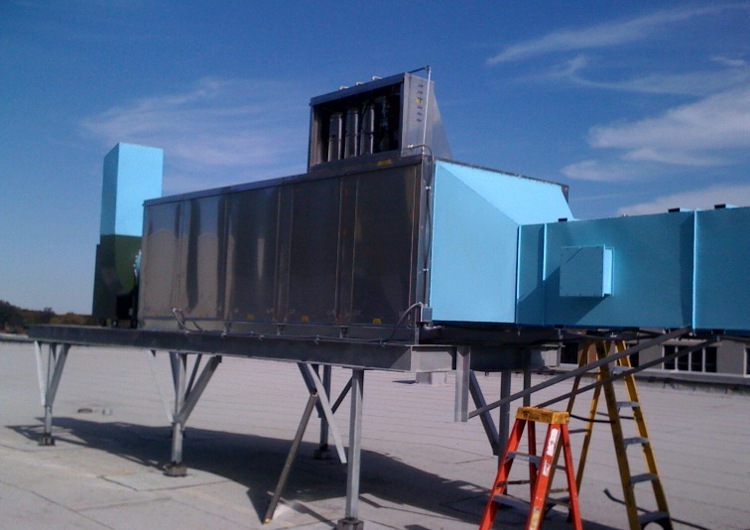 The Pollution Control Unit (PCU) with Advanced Filter Monitoring option offers an automated assessment of the unit to ensure proper operation. 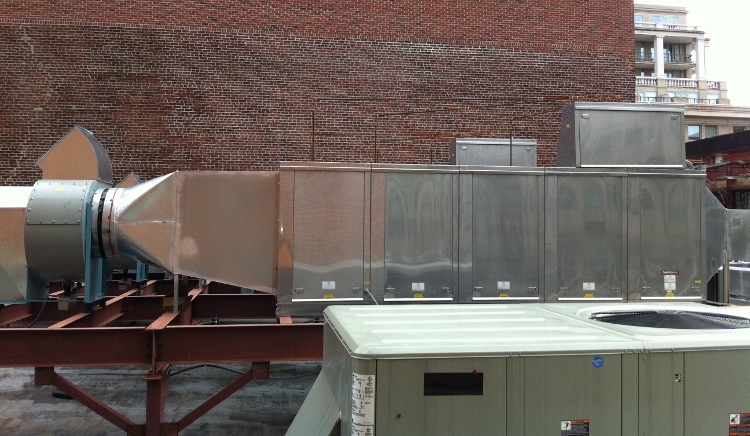 The detection portion of the fire suppression system allows for automatic detection by means of an electric thermal detector located in the intake and outlet of the ductwork connection. 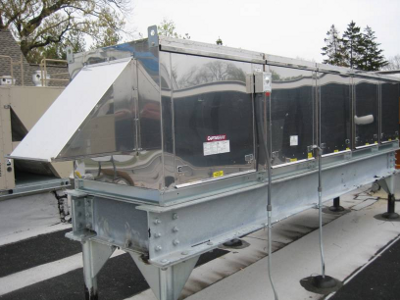 If the Pollution Control Unit Firestat senses a temperature hotter than its internal setpoint, an electric signal is sent to the CORE Fire System Cabinet. 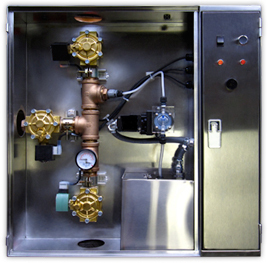 An electric water solenoid is energized allowing the flow of water to the Pollution Control Unit mounted manifold. 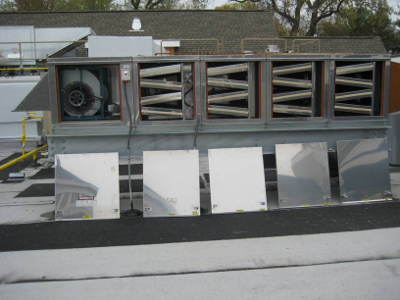 The CORE fire suppression system is a pre-engineered, pollution control unit fire system that utilizes a water spray system for fast flame knock-down and suppression. A system owner's guide is available containing basic information pertaining to system operation and maintenance. The system is installed and serviced by authorized distributors that are trained by the manufacturer. The CORE circuit board is an ETL Recognized Component under Report number 101196419NYM-001. The PCBCORE board is certified as a releasing service for the CORE Protection Fire System. 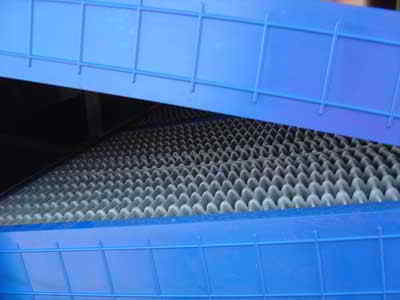 The CORE Protection Fire System is an automatic, pre-engineered fire suppression system. 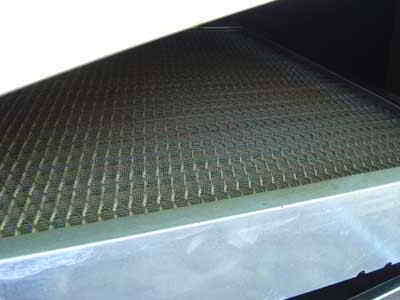 The CORE protection System is designed to provide primary coverage for Pollution control equipment including ducts and filters. The system is ideally suited for use in restaurants, hospitals, nursing homes, hotels, schools, airports, and other similar facilities. The PCU CORE control panel is limited to interior applications only. The system must be designed and installed within the guidelines of the Listed Design, Installation, Recharge, and Maintenance Manual. Overview of all the pieces and parts that make up the CORE Fire Protection System. The CORE Fire System printed circuit board is a microprocessor based control that provides all the necessary monitoring, timing and supervision functions required for the reliable operation of the CORE Protection Fire System. If a fault is detected anywhere in the CORE system, the audible alarm will periodically sound and the "Fire System Activated" light will flash a fault code to indicate the specific fault detected. The detection and pull station for CORE comprise an electric circuit that is connected to a battery backup system. In the event of a power outage, the power to all gas and electric appliances must be disrupted through the use of electric gas valves or shunt trip breakers. The battery powers the detection and pull station circuits, as well as monitoring those devices. The supervised loop incorporates both redundancy and fault detection. It is the means by which fire sensors and pull stations are connected to the CORE system. The CORE Control Cabinet contains most of the necessary components for the fire system to function. The control cabinet holds the manifold, surfactant tank and pump, CORE control board, power supply and battery backup.